Singing makes learning fun! 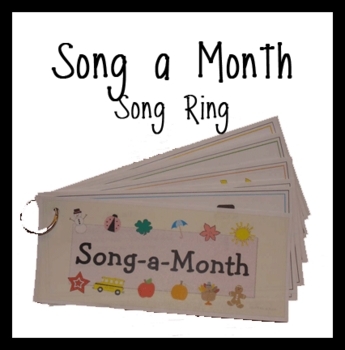 Have fun singing a new song every month! Each song is to the tune "I'm a Little Teapot". There are 12 songs included, one for each month of the year. Perfect for toddlers, preschoolers and Kindergarten classrooms. The artwork and songs were created by Ashley Rives of Me & Marie Learning. Just print, cut apart (mount on cardstock and laminate, if desired), punch a hole in each one and put onto a binder ring. This product is available for immediate download as a PDF file. Please respect my time and work. This copyrighted document is NOT for resale. 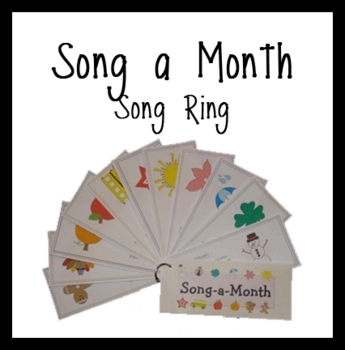 Song-A-Month Song Ring by Ashley Rives of Me and Marie Learning is licensed under a Creative Commons Attribution-NonCommercial-NoDerivs 3.0 Unported License.